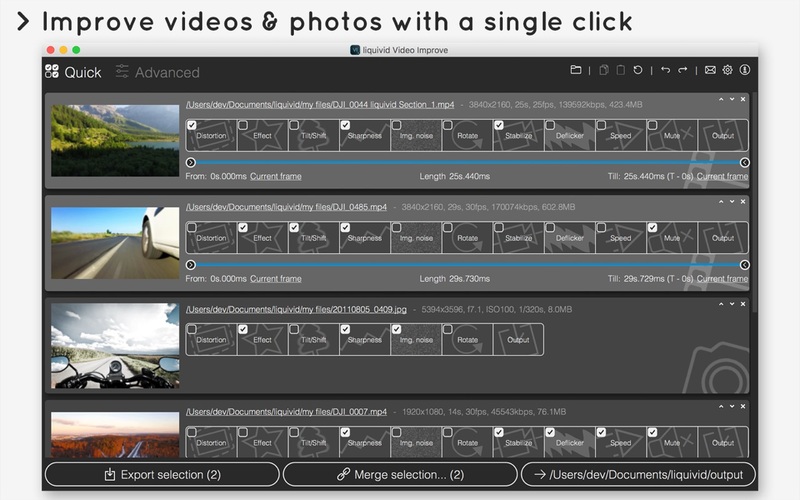 liquivid Video Improve 2.3.1 – Easy-to-use video and photo correction. Next story Unclutter 2.1.11d – Store notes, files, and pasteboard clips on the Desktop. Previous story Morph Age 4.2.6 – Morph faces, warp images (was Morph Age Express). Permute 2.1.8 – Easy-to-use, drag-and-drop video conversion. Permute 2.1.4 – Easy-to-use, drag-and-drop video conversion. Total Video Player 2.4.0 – Media player supporting virtully any format.